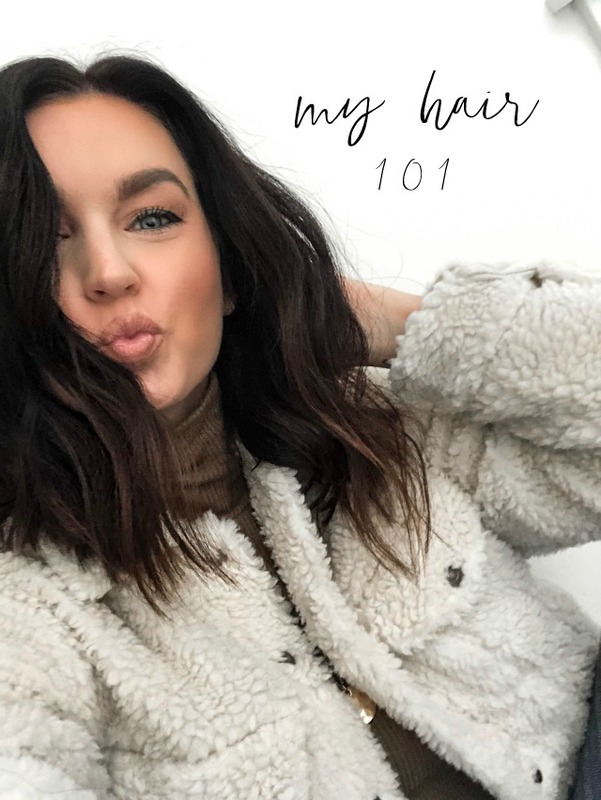 By far one of my most asked questions - my hair + haircare process from start to finish. Especially since my recent chop, although not much has changed in my day to day routine. I'm by no means a beauty blogger, however - haircare + skincare are the two things I know. So, that said let's start from the beginning! For starters, I get my hair done at The Beautiful Co. salon here in Greenville. It is by far, the best salon I've ever gone to. Every single stylist there is amazing (they vet their stylists for months + have multiple interviews before hiring) and it's just one of those places that feeds your soul. From the decor + drink menu they greet you with when you walk in the door to the amazing services + products they offer, it's just great. The overall health of my hair has improved so much since going to The Beautiful Co. over the last year. Now that I've gone back to my au naturale color (removed the highlights when I chopped), I simply get color on my roots to cover any gray strands (yes, I have gray already!) and we do a shine mask every other time. Aside from that, we trim every 12 weeks to keep the dead ends at a minimum and we'll occasionally do a lowlight or two in the front to give me a little definition around my face. When my hair was longer, I had extensions simply to make my hair a bit thicker, but once I chopped it, I didn't feel like I needed them anymore. Sidenote: they also have the best tanning booth in town! I had never tanned in a booth before, prior to going to The Beautiful Co., but it only takes 3 minutes and it's $25. Anything that is that quick, inexpensive, and gives me a little glow is worth every penny! Also, I try to do a mask about once every couple of weeks. I usually wash my hair at night, put it on when it's wet (mostly on the ends), comb through, and sleep in the mask. Once I wake up, I rewash and style my hair as normal. The honey-infused mask is amazing! It's a little on the expensive side, but it only takes a couple of drops and lasts so long! That's my start to finish, in order, process! It's definitely nothing special, but I can tell you - I've tried so many different haircare lines and these brands + products are by far my favorites. For me, the most important part of the styling process is to brush out your curls as soon as they curl with a wide tooth comb. I can't use a regular brush because it pulls my curls out too much, but the comb gives them a tasseled look while keeping them in place. It also helps me to tease before I curl, whereas most people do it after. Again, pulling on my curls after the fact just leaves me with a frizzy mess. Other than that, the dry shampoo, texturizing spray, and dirty spray are so necessary for texture! Without those, my hair would be flat and lifeless. Let me know if you have any questions in the comments below and I'll be sure to answer! Thanks for recommending all these products, your hair looks amazing! I definitely want to chop off my hair now haha! I literally use most of these products so I feel like I'm doing something right! Do you ever touch up your roots yourself? Its great if you can wait 12 weeks to get them done at the salon. Thats a good amount of time. I wish I could do my roots at home to extend going, but I'm afraid to. I LOVE your hair this short and wavy, Meg! I own a small bottle of The Ouai wave spray, but haven't used it yet! I'm going to try it this weekend and see how it works with my natural hair. My current hair is long, but you're making me want to change it up now...hmm...Oh and you can bet that I'll be visiting your salon whenever I visit. Their decor is totally my kind of vibe!